The story of a boy and an elephant who have a friendship stronger than any lock, shackle, or chain. Ten-year-old Hastin’s sister has fallen ill, and his family must borrow money to pay for her care in the hospital. 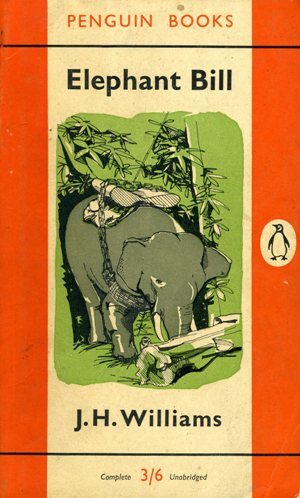 To work off the debt, Hastin leaves his village in northern India to work in a faraway jungle as an elephant keeper. He thinks it will be an adventure, but he isn’t prepared for the cruel circus owner. 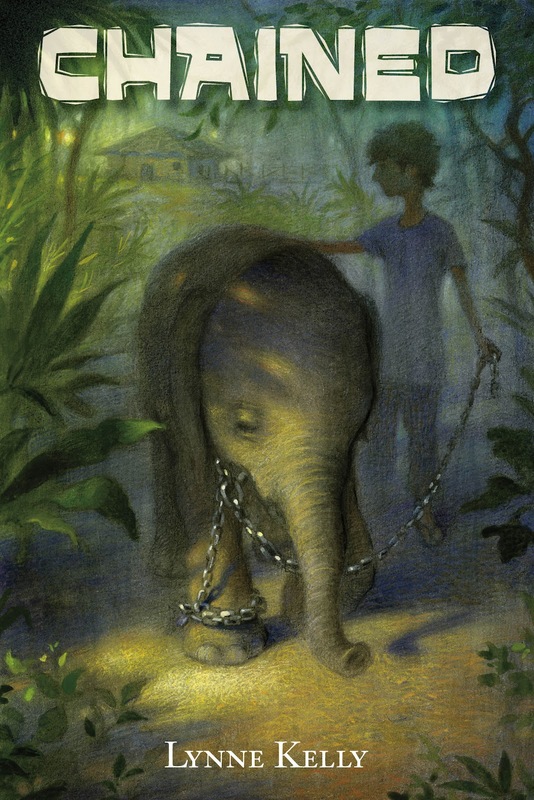 The crowds that come to the circus see a lively animal who plays soccer and balances on milk bottles, but Hastin sees Nandita, a sweet elephant and his best friend, who is chained when she’s not performing and punished until she learns her tricks perfectly. With the help of Ne Min, a wise old man who seems to know all about elephants, Hastin protects Nandita as best as he can. Still he wonders–will they both survive long enough to escape? 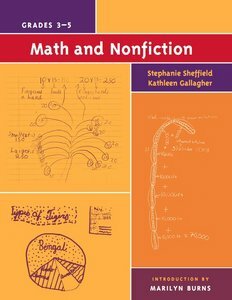 I’d been talking to a co-worker, Stephanie Sheffield, about the book, since she’d written some nonfiction books about math-literature connections, and her editor at the time was looking to acquire picture books that could be used in math classrooms. 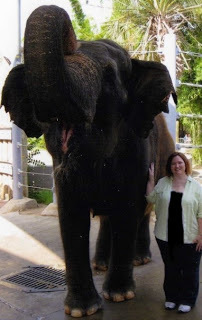 At some point, she suggested, “How about adding a boy who takes care of the elephant?” That way he could refer to the length of chain used for the elephant as she grew up, and students could figure out the size of the circle she paced around the pole she was chained to. So then Hastin was born, although I didn’t know his name yet. That came after I searched through Indian names and found one that meant “elephant.” It’s not a common name, but it’s one that fit. The math-literature editor turned down the manuscript since math wasn’t a big enough component of the story, but I wanted to continue working on it to submit it elsewhere. 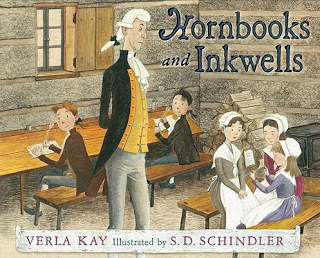 By this time, some critiquers who’d read the manuscript mentioned that the story would work better as a novel instead of as a picture book. I couldn’t imagine it. That’s a lot of words to write! But after hearing the same thing from a few different people, I thought I’d better give it a try. Of course now I can’t imagine it any other way. So now I just had to get to know Hastin, our new protagonist. He’d have to be someone who loved animals and was protective of his family. He’s an elephant keeper, but a reluctant one, since he’d rather stay at home with his family and let the elephant stay with hers. I knew early on that he and Nandita the elephant would have parallel lives– each with a family they’d like to return to, but captive workers in the elephant show. I researched where Hastin might live and work; I needed him to be close enough to home to have some hope of returning if he could escape, but far enough away to make it difficult. When I’m working on a story, freewriting works best for me, so I did a lot of that in the beginning to discover more about Hastin. It helped to think back to how I was myself at that age. On the surface I don’t have anything in common with a ten-year-old Indian boy, but we all have the same feelings, so I could keep in mind what it’s like to feel sad, frightened, lonely, happy—whatever the scene called for. being from a different region of India. As part of my elephant research, I read Elephant Bill by James Williams (Doubleday, 1950) about managing logging elephants in Burma during World War II, and I decided to make Ne Min’s character Burmese. Of course that meant more research for me, but it allowed me to give him a backstory I really loved. Sharad, the elephant trainer, needed more backstory to round out his character. 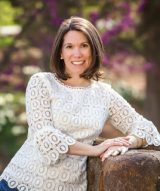 Uma Krishnaswami on career reinvention. for were bad guys, except for Ne Min, the one not from India. more clear motivation for behaving the way he did. harsh in his training of Nandita. I was at work so I had to contain the excitement somewhat! I work as a sign language interpreter, and I was in a college classroom when my agent, Joanna Volpe, called. At that time, Chained had been on submission for about three weeks. I don’t remember if the class I was in was taking a break at the time or if I said to my co-worker, “Um, 212 area code, I really want to answer this,” but I was able to step out in the hallway to take the call. 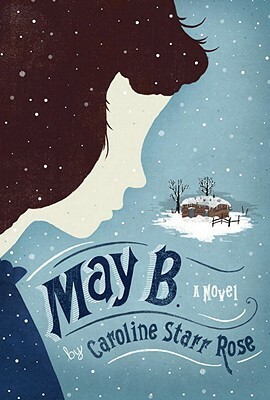 Jo told me that Margaret Ferguson of Farrar, Straus, and Giroux was interested in acquiring the novel, and I was standing there saying, “Oh, wow, that’s awesome,” into the phone, since what I really felt like doing–running up and down the halls screaming–is frowned upon in most workplaces. It was hard to focus for the rest of the day, and when I got home there was a lot of jumping around and random dancing. Since a few other publishers had the manuscript, Jo contacted those editors to notify them of the interest; that way they’d know to start reading it if they hadn’t yet and get back to her and then she kept in touch with me by phone or email for the next few days to let me know how they responded–either “no, not for me,” “I like it but not enough to get in on an auction,” or “Yes, I want this too.” (Cue more jumping and sweet dance moves). Since more than one publisher was interested, Jo set up an auction for a couple weeks later. I’m so glad I was home from work on auction day, because that was nerve-wracking yet super fun. The best thing was that I knew the book would sell, and I’d have been happy with whichever editor ended up with it, so there wasn’t going to be a bad outcome. Jo called and emailed throughout the day to keep me posted on how things were going, then called when it was all over to discuss the publishers’ final offers. We went with FSG, and then I could celebrate the official book sale! I went to dinner with my family and probably bought some new books. Looking back, are you surprised to debut in 2012, or did that seem inevitable? How long was your journey, what were the significant events, and how did you keep the faith? I first got the idea for the story in 2006, and it’s probably a good thing I didn’t know that publication was six years away–I’m not sure I would’ve stuck with it. But it took time to write the story well, since I had a lot to learn about writing while I was working on the book. 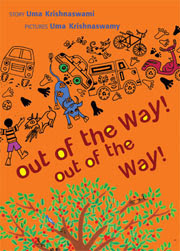 And since I was thinking about it as a picture book at first, it went through a huge evolution over the years. It was in 2009 that I started submitting to agents for real (there were some earlier submissions, but before the book was really ready to go). Of course there were some rejections, but now and then there were some requests for partial manuscripts, or even the whole thing. The partial or full requests among the rejections helped me to keep going; if the manuscript was good enough to pique an agent’s interest, it would be only a matter of time before it landed on the right desk. I’m also really thankful for the feedback I got from the agents who liked the manuscript but didn’t love it enough to take it on. Besides helping in a practical way with revision suggestions, it’s such a boost for a writer who’s trying to get published when someone takes the time to explain why it wasn’t working for them. Early in the summer of ’09, I got my first call from an agent who was interested in representation. But she wanted to see a lot of revisions first and wondered if I’d be willing to work on the manuscript more before she committed to signing with me. I said okay, because I knew she’d have great suggestions. And she did–six pages’ worth! I got started on those right away and continued working on the revisions throughout the summer. In September I was finally ready to re-submit the manuscript to her. And she said no. Something about it still wasn’t working for her, so it was time for both of us to move on. Even though it wasn’t the answer I wanted, I knew the revisions had made a huge difference, so I don’t regret anything about that experience, and I’m so grateful she took the time to work with me without knowing if things would work out with us. And, since the manuscript had gotten some interest even before the giant revision, I was a huge step closer to finding the agent who’d like it and put a ring on it. Right away I started submitting to agents again. Again, there were some rejections, some requests, and some who didn’t respond. 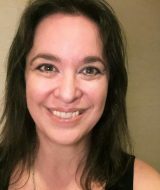 One of the agents who requested a partial was Joanna Volpe; my friend Monica Vavra was agented by her and loved her, so Jo was one of the agents I submitted to that fall. Meanwhile, I kept working on my next manuscript–the waiting will drive you crazy when you’re on submission, so it’s important to keep busy by writing a new book. Whenever I received a rejection from an agent, I sent the manuscript to another. 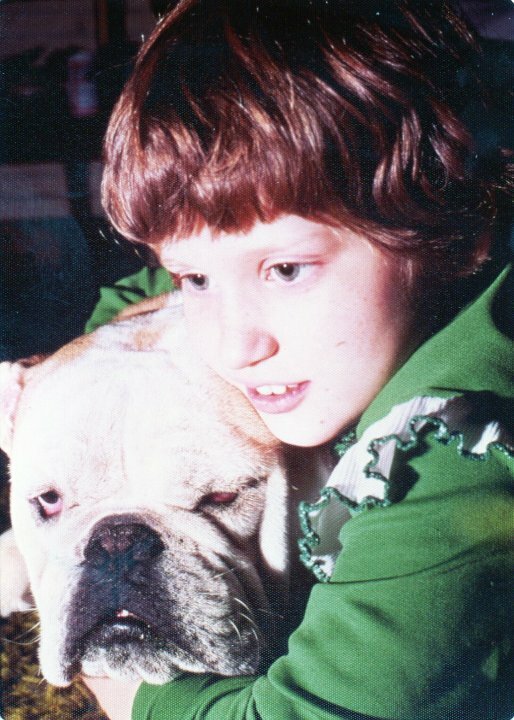 Lynne as a child with Spike. Then in February of 2010 I got an email from an agent who wanted to set up a phone call to discuss representation. Yay! By some amazing coincidence, Joanna Volpe called two days before my phone call appointment with that agent. She apologized for the delay and said she’d read the 50 pages I’d sent in before and if I wasn’t represented yet, she’d like to see the whole manuscript. Double yay! I told her I wasn’t represented yet, but that I was expecting a call later that week from an interested agent, and I’d send the full manuscript if she still wanted to see it. She did, and the next day she wrote back after having read the whole thing and set up a phone call to discuss representation. I talked to both agents, and loved them both, and both offered representation. Dilemma. But what a good problem to have! It was kind of like that time in high school when I hadn’t had a date for a couple months and then two guys asked me out for the same night. But I digress. I took a couple days to think about it, and decided to go with Joanna, and I couldn’t have picked a better agent. By that time, I knew that I’d likely be a 2012 debut; books often take a long time to sell, and even if mine sold quickly, the book would be out in late 2011 at the earliest. It did sell early in May that year, so the publication date is almost exactly two years later. I can’t stress enough how much my friends from the writing community kept me going throughout the whole process. I joined the SCBWI soon after I knew I wanted to continue with this writing thing. Everyone was so supportive and they had fabulous workshops and conferences, and I found my critique groups that helped me whip the manuscript into shape. And I’ve met so many writers online, like on Twitter or through groups like the Verla Kay Blue Boards. I seriously can’t imagine how writers did it before the Internet. The research would’ve been hard enough, but to go through submission time, rejections, revisions, and writing a new draft with no one to vent to except your cats? I shudder to think of it. Everyone needs some kind of writing community–in person, online, or both–to cheer with during the celebratory times and to hold them up during the crushing times. Here’s another place those writing communities are vital. I’d advise any debut author to stay connected to their local writers’ organizations and join a debut group. I seriously can’t imagine doing it all in isolation. All along I’ve had my critique groups and the SCBWI, and I’m involved with two debut author groups, The Apocalypsies and The Class of 2k12. Through those debut groups we share ideas about what marketing strategies and resources have worked and haven’t worked, plan events like mutual signings and panels, and exchange bookmarks and other swag to take to our own libraries and bookstores. And since we pass our ARCs around to the group, we’re able to let everyone know about all the awesome books to look for this year! All the support from other authors is awesome, but if we’re only talking to each other, we’re not reaching our audience. And for middle grade authors, our audience probably isn’t reading our tweets and blog posts. Often kids that age find out about books from teachers and librarians, so I’ve looked for ways to reach out to those groups. One idea I got from Caroline Starr Rose was a Book Club Kit Contest (now closed) for teachers and reading group coordinators. Everyone who entered got a set of Chained bookmarks for their readers, and one group won ten copies of Chained, a Skype visit, bookmarks, and other goodies. Book bloggers are a fabulous resource too, for getting the word out about our books. A book trailer or interview on a blog that focuses on YA or kids’ books will reach a different audience than a post on the author’s own blog. I’ve been on Facebook and Twitter for a long time, so it’s been fun to celebrate the whole publication journey with my friends and followers there. For any social media, it’s important to build relationships by interacting with people; if you’re just hopping on to Twitter, for example, because you have a book coming out, it’ll be about as effective as shouting into an empty room. There’s so much out there, though, and we can’t do it all. I’d say all writers should do whatever they’re comfortable with online. If it’s too much of a chore, we’ll participate begrudgingly and I think that would come across to our readers. 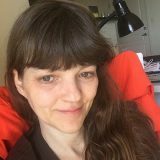 The hardest thing for me to keep up with is the blog–I like having written a post, but I don’t always like writing them, and I don’t update as often as I’d like. But I could spend all day on Twitter and Pinterest, so the challenge for me is checking in with those sites without staying too long. I always worry about all the fun stuff I’m going to miss when I log off to write, kind of like a little kid who doesn’t want to go to bed. When I really need to get to work without the distractions, I use MacFreedom to lock myself out of the Internet to get rid of the temptation to check in on all those friends who live inside my computer. 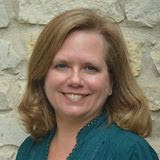 Visit Lynne’s blog, Making Stuff Up & Writing It Down, and The YAHous (YA Houston)! See also Interview: Lynne Kelly from Cari’s Book Blog. Interesting interview! I just rewrote a chapter book into a picture book so it's interesting to see a book going in the opposite direction. Another title to add to my pile; close to the top. Thanks for the interview, Cynthia. Thanks to Lynne for what promises to be an amazing read. Thank you. Looks like a great read, but I am disappointed in the book cover (boy placed in shadow) and the video clip (great pictures of elephants but what about the boy? )Aren't they both chained? All the credit goes to Lynn, Cherie & Margie! 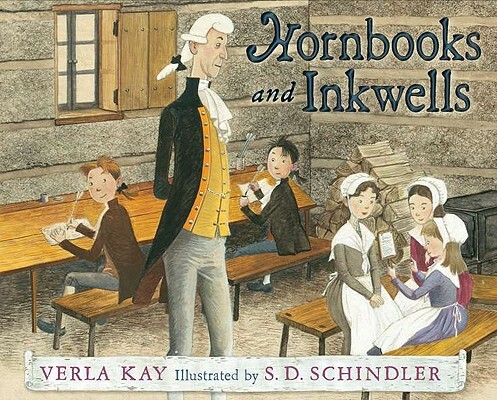 Good luck with your picture book, Kell! Menaha, it's a good question. The book's packaging makes its setting and character background clear, so it's not a case of whitewashing. Hm. There is a theory that young readers don't want to see the character too clearly on the cover because that interferes with how they see them in their mind's eye. I must admit that I prefer to imagine the characters for myself, too. Have you had a chance to pick up the book?